The Digital Design Depot Cap Hat Heat Press Machine has become the heat press of choice for those in the profitable cap printing market. This cap press was designed around the customers' needs - based on extensive market research and a collection of individual customer's feedback. 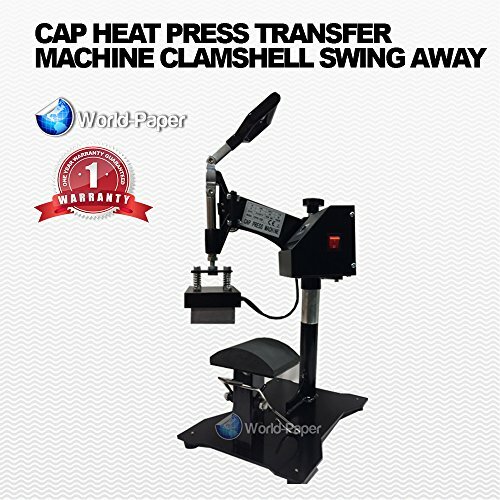 The heat press features an exclusive cap hold device that keeps your cap in place during application and transfers. You no longer need an extra pair of hands to keep the cap and transfer from misalignment! Our customers love it and so will you!. Engineered by a leading USA manufacturer, the Blue Line Series Heat Press Machine is an affordable, durable press that has a digital time and temperature readout and the cast in tubular heating element insures your press produces even heat with every application. Comes Pre Lubricated and Tested. If you have any questions about this product by Calor Press Blue Line, contact us by completing and submitting the form below. If you are looking for a specif part number, please include it with your message.